Swedish soprano Karolina Andersson graduated from the Academy of Music and Drama at the Gothenburg University in 2007 and was immediately engaged to join the ensemble at Komische oper Berlin. She went freelance in 2009, but has since returned to Komische Oper for a.o. Gilda in Rigoletto and Queen of the Night in The Magic Flute. Queen of the Night has become somewhat of Karolina’s signature role which she has performed at The Royal Swedish Opera in Stockholm, The Gothenburg Opera, Volksoper Wien, Staatstheater Kassel and on tour in China. Among other roles to be mentioned are Violetta in La Traviata, Susanna in Le Nozze di Figaro, Blonde Die Enführung aus dem Serail, Ninetta in Rossini’s La gazza ladra, Governess The Turn of the Screw by Britten, Miss Wordsworth in Britten’s Albert Herring and La Stonatrilla in L’opera seria by F. L. Gassmann. No stranger to contemporary music Karolina has participated in two world premieres; Annette in Philippe Fénelon’s Faust (Théâtre du Capitol Toulouse, later also performed at Opéra national de Paris) and Ophelia in Christian Jost’s Hamlet (Komische Oper Berlin), as well as Graziella in Detlev Glanert’s Joseph Süß (Staatstheater am Gärtnerplatz, Munich) and Regan in Reimann’s Lear at the Malmö Opera. 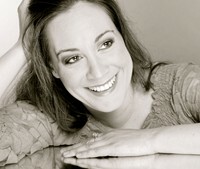 Karolina has a vast concert repertoir an is frequently engaged as a soloist in concerts and oratorios e.g. at the Swedish Radio Symphony Orchestra’s yearly Epiphany concert broadcast by the Swedish television. She has received scholarships from the Royal Swedish Music Academy (The Christina Nilsson Award ) and The Sten A Olsson foundation for Research and Culture.